Leather is tanned, dyed, and finished in many different ways. There will be a hands on demonstration, display, and discussion of the different types and their characteristics. Many demonstrations in this category. You will learn many different techniques, such as wet forming, stretching, hammering, skiving, splitting, storing, and wrapping. 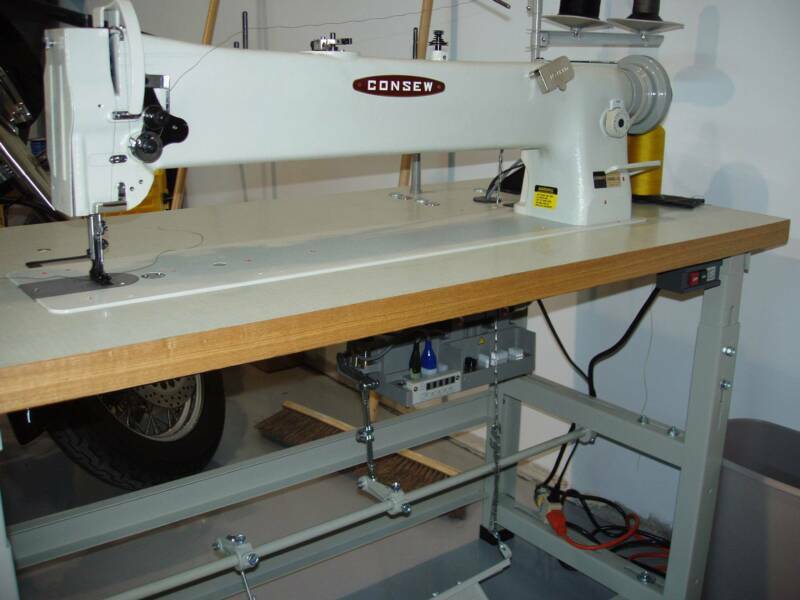 top stitching, tuck and roll, piping and binding. 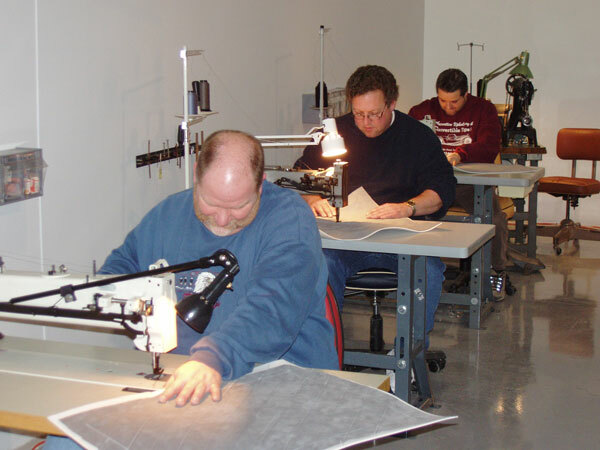 Hand stitching leather such as wrapping steering wheels, gearshift knobs, etc is also taught. Making patterns for leather is an exacting task. Leather is expensive and mistakes cut into profit. All areas of a leather hide cannot be used. Significant time is devoted to explanation, demonstration, and exercise to hone these skills. Demonstration of the Fortuna type electric skiver. How to set it up, adjust it, use the various attachments. You will know when to use it and what it is capable of doing for you. 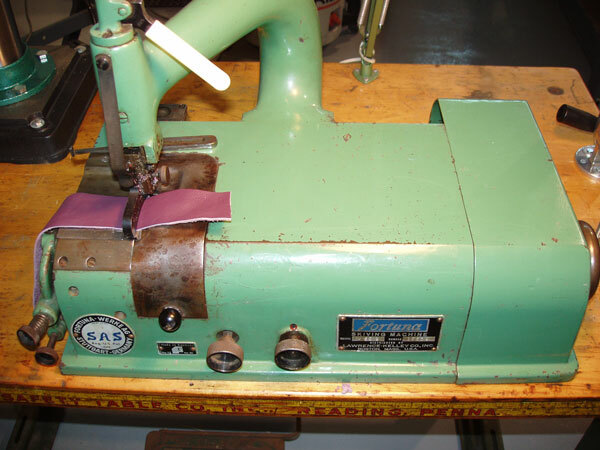 Demonstration and use of a band knife leather splitter. 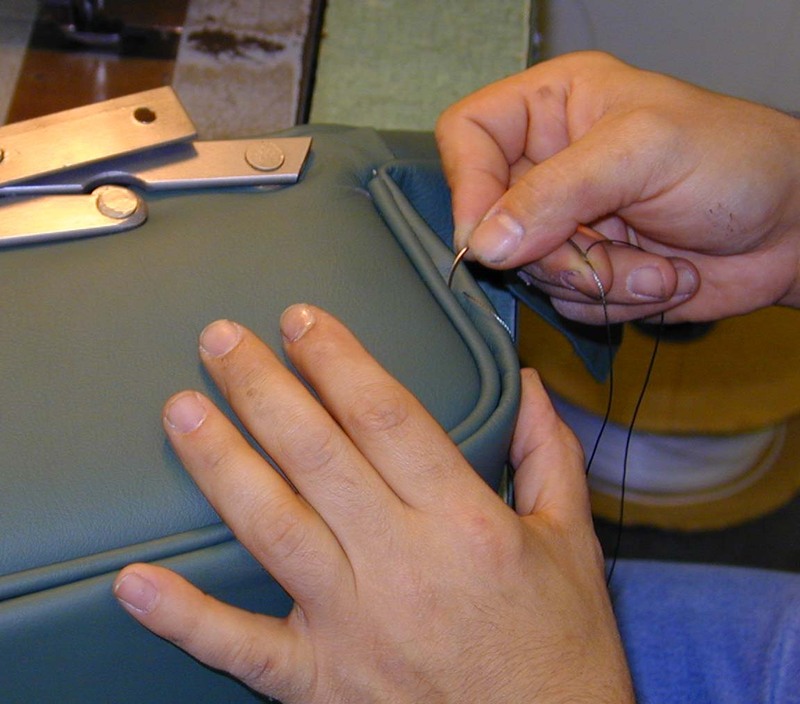 Not all projects can be completed using standard upholstery weight leather. A valuable tool. Very important when working with restorations. 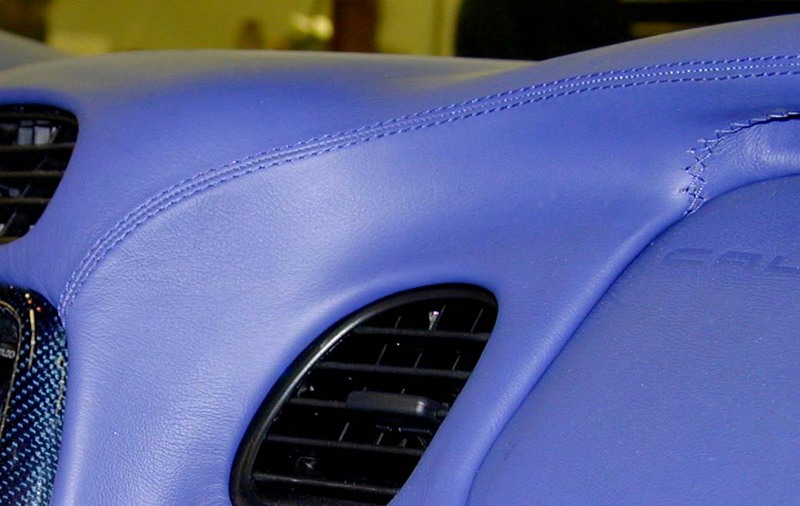 If the foam is old and no longer usable, your leatherwork will not have a finished appearance or feel. When new molded foam pads are not available for your project, new foam must be cut, glued, shaped, or poured to correct size and shape. 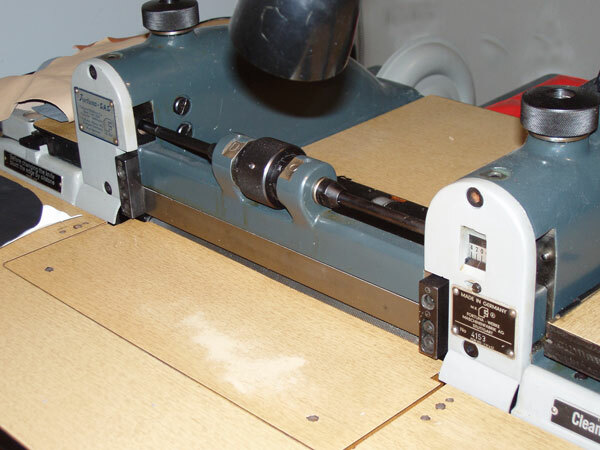 This is also demonstrated at the workshop.